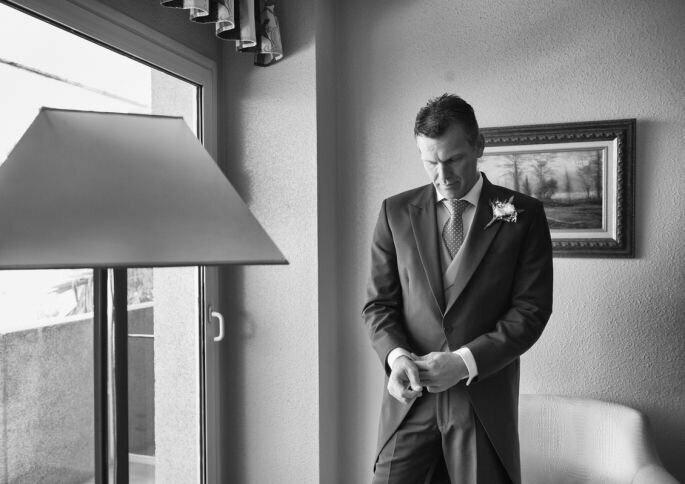 Although grooms tend to have less of a difficult decision to make than their bride when it comes to dressing for their wedding, they can also choose between many styles for the best look. 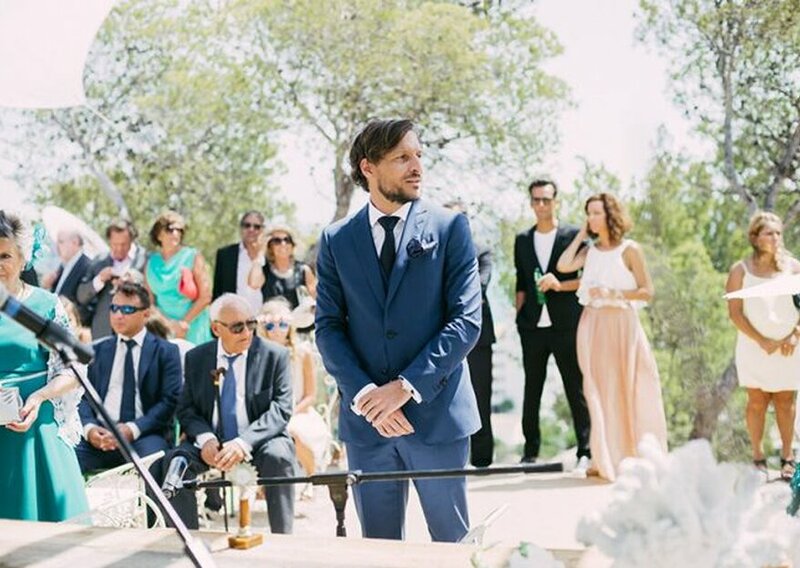 Every groom wants to impress his bride and her family and friends with a handsome, stylish and well-fitted suit, to be picture-perfect next to her beauty in all the photos. We always say that the protagonist of the wedding is the bride, but grooms are, at least, the second most important person at the wedding. So take note if you are in need of some style advice to feel a 10/10 on your big day. 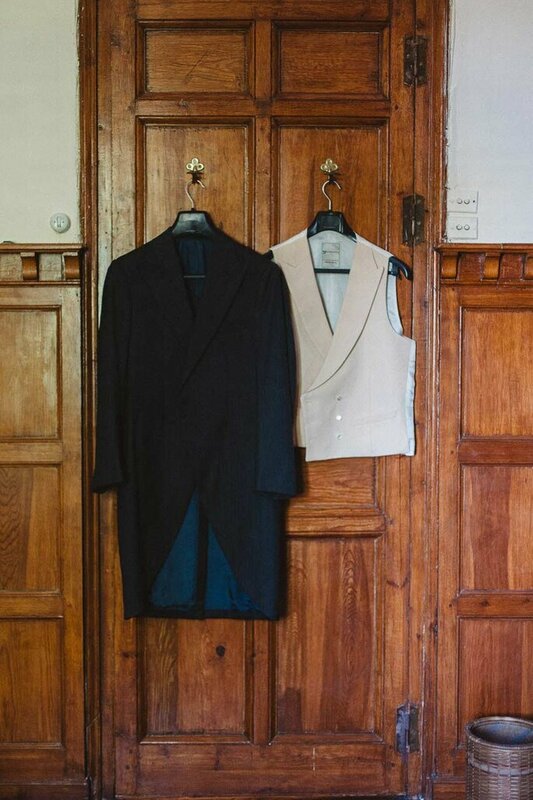 Morning suit, dinner suit or tuxedo? 1. Morning suit, dinner suit or tuxedo? 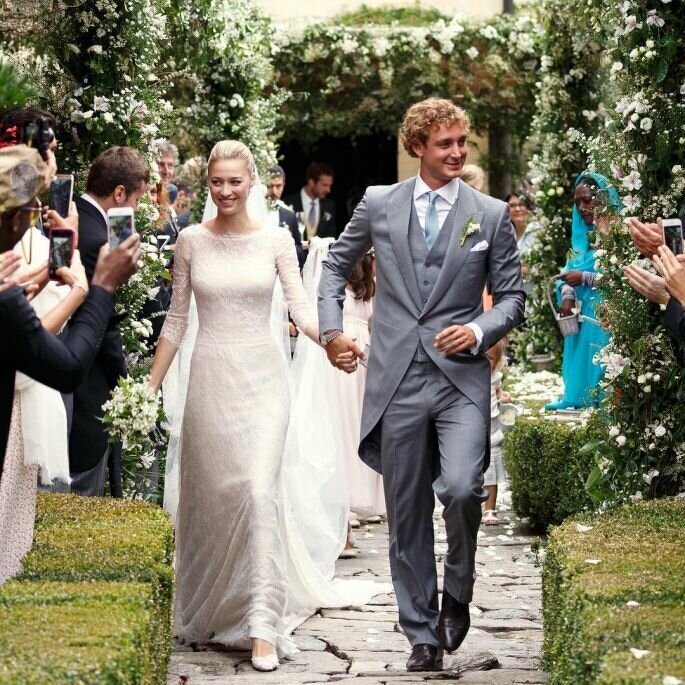 It’s the first thing you have to think about: what kind of groom do you want to be? Or, what kind of wedding are you going to have? The bride and groom should complement each other where style is concerned. Depending on style, there is a plethora of different options. 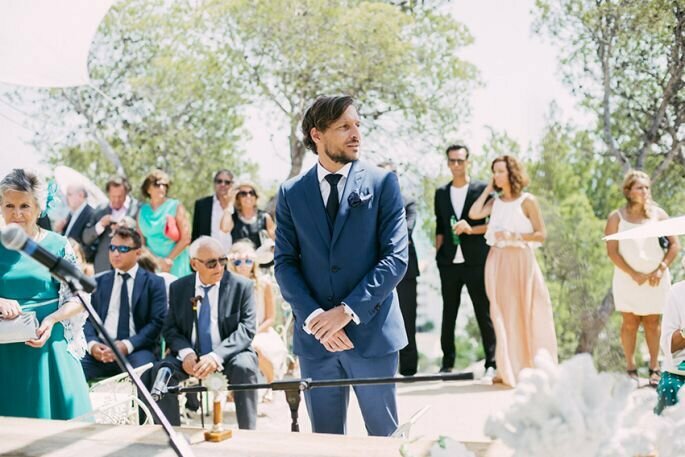 Wearing a long suit jacket (otherwise known as a morning suit) is the most traditional groom look, especially if your wedding is going to be a religious one. 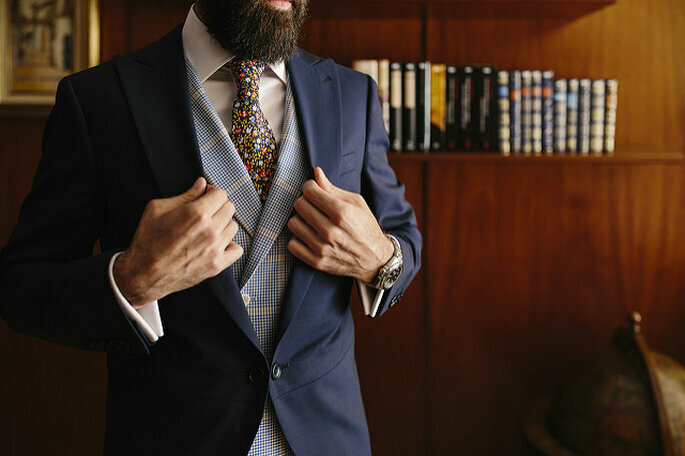 Although there are many men who prefer the dinner suit, which is ideal because it can be dressed up for the special day but also worn again for formal occasions. If you’re going to feel more comfortable with a suit, choose the one that best suits you, but with three pieces, that’s to say, with a vest/waistcoat. If, on the other hand, you want all your guests and yourself to go in tuxedos as a classy black tie event, remember that it is usually evening attire. Either way, they make for an elegant look. 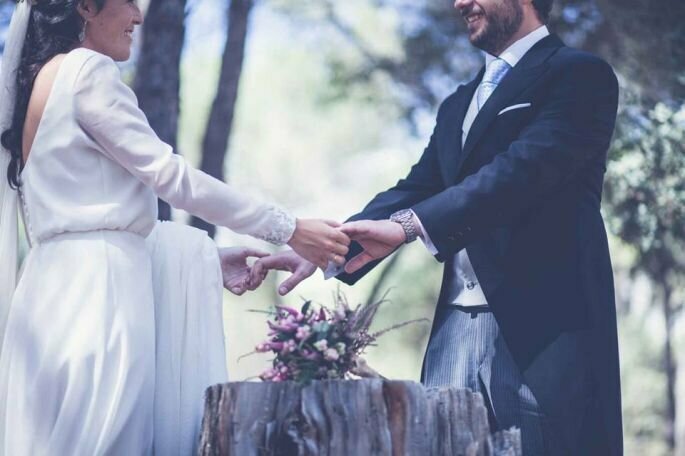 If your wedding is themed or has a casual/relaxed dress code then you have more freedom, such as wearing trousers and a shirt without a tie. 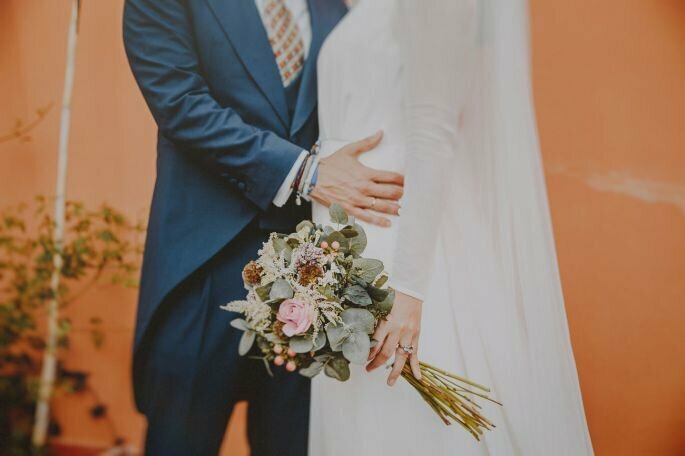 Or, if you want a vintage or boho wedding you can choose to go without a jacket, with coloured suspenders and even skinny pants and a hat. – Just as we say to brides, your look has to be one in which you feel comfortable and most of all, yourself. 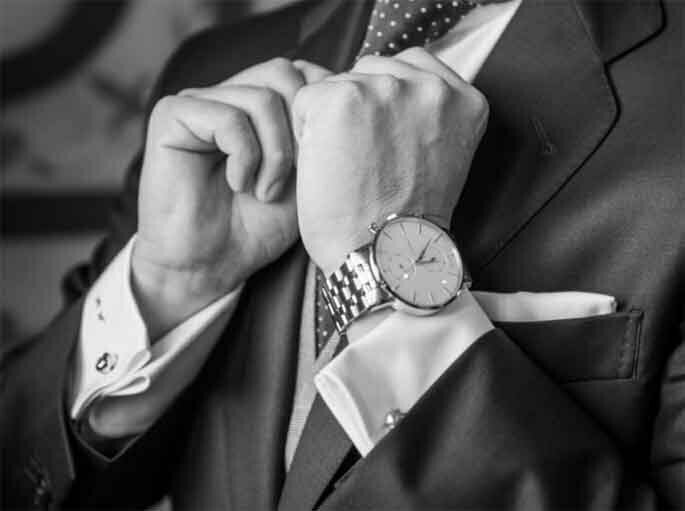 – We recommend that your suit, whatever it is, is made to measure, or if you buy it pre-made have it adjusted to your body so that it’s the perfect fit. – Let yourself be advised by fashion experts, maybe your mother lacks knowledge of the latest trends in wedding fashion! Accessories are always important, they are what transforms a normal look for both the bride and groom. In this case, an important accessory is the waistcoat, in which a subtle pattern can be complementary to the overall smart look. A waistcoat is a sign of your personality: from stripes, polka dots, classic, crossed … Just like a tie, play with your taste and choose something different and special! And if you wear a tuxedo remember that the bow tie is mandatory, here you you can be innovative as nowadays there are increasingly more styles to choose from. Don’t forget about cufflinks if you’re wearing a double cuff shirt, which would be ideal for this occasion. You can buy them yourself, but it can also be a gift from the bride, your in-laws, parents or even your grandfather. 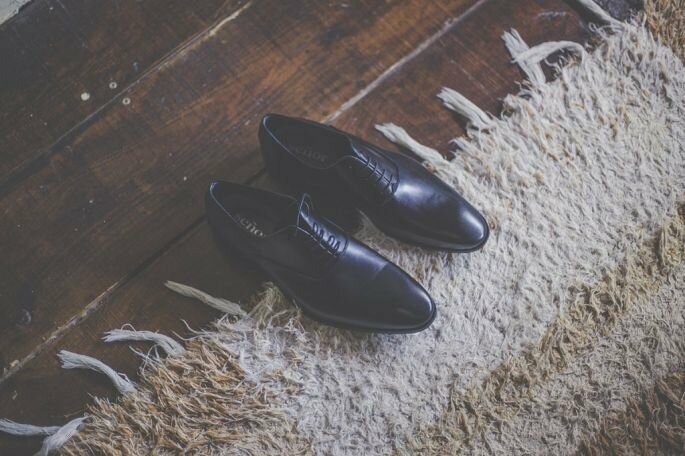 Shoes are very important, always dark in colour, and the shape that you choose will be in accordance with your style and personality. Make sure to always wear them impeccably clean. 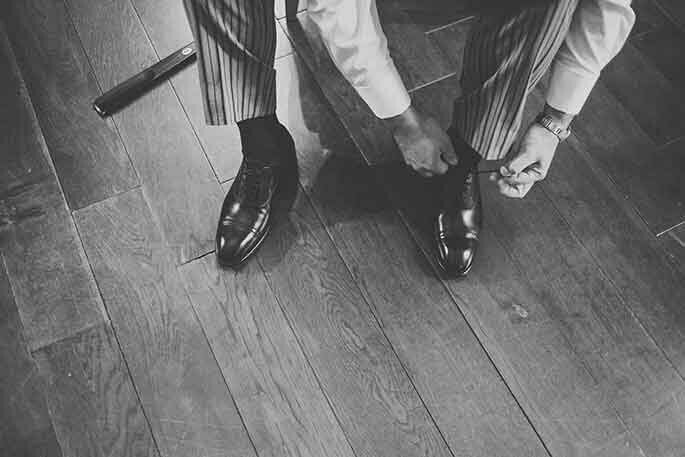 If you’re wearing a suit or a coat, the Oxford lace-up shoe is recommended. You can also choose to wear a pocket square, incorporating white for the most classic of looks, or play with colour and prints as with the tie and vest. Your bride is likely to pull out all the stops and splash out on her dream dress designed by a respected label and adjusted perfectly to her, so you should do the same. Treat yourself to a suit that fits you like a glove. Believe it or not, the difference is noticeable. If you have opted for the morning coat, now you have to choose the colour, such as the classic black with pin stripes and with the added touch of a colourful waistcoat. Many couples go for blue these days, especially navy, or even an elegant grey like James Cook, husband of Poppy Delevigne, or Pierre Casiraghi. If your plan is to wear a tuxedo, there are two options: the classic black and the navy blue. 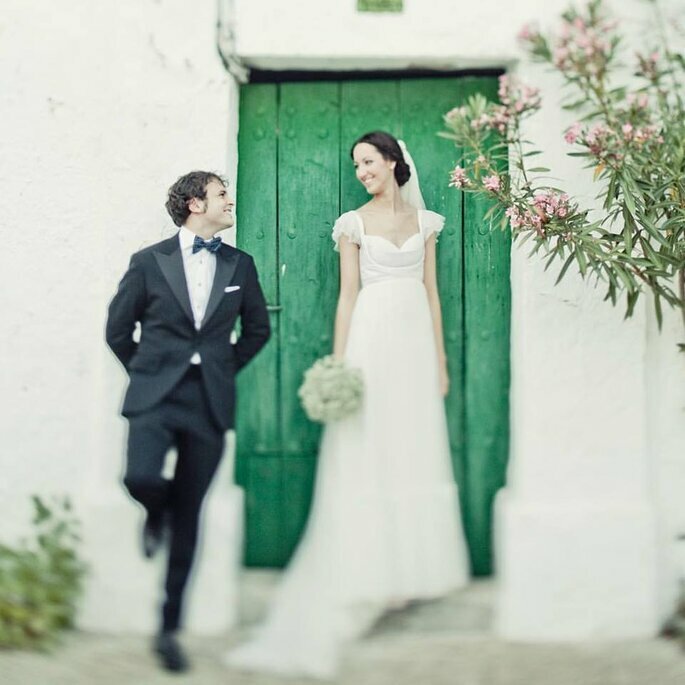 There are many grooms that feel more comfortable in a dinner suit. If you’re one of them, try to make it 3 pieces, that’s to say, don’t go dressed as you would to another wedding or to work, opt for a waistcoat and accessories. If you’re not very into following fashion trends where the groomsmen are concerned, just take one thing into account: stay away from shiny fabrics and bright ties with double knots. Take note of all these tips and choose the perfect groom look for one of the happiest days of your life!